If you’re in the market for a metal roof, you have probably come across a page like this one. But it’s worth repeating to make sure that you take this information to heart! There are a lot of roofing companies out there that aren’t following “the rules.” They promise big, but then don’t deliver. Some roofers in Billings don’t have the skills to put a metal roof on top of your home. Some don’t have the proper licensing or insurance. To avoid a costly mistake, one that you may end up being liable for, take the time to find out the answers to these 9 questions that you should ask your metal roofer. What is Your Legal Business Name? Most businesses will have one name on their official registration with the city and state, but a different on their signage. This is called Doing Business As, or DBA. 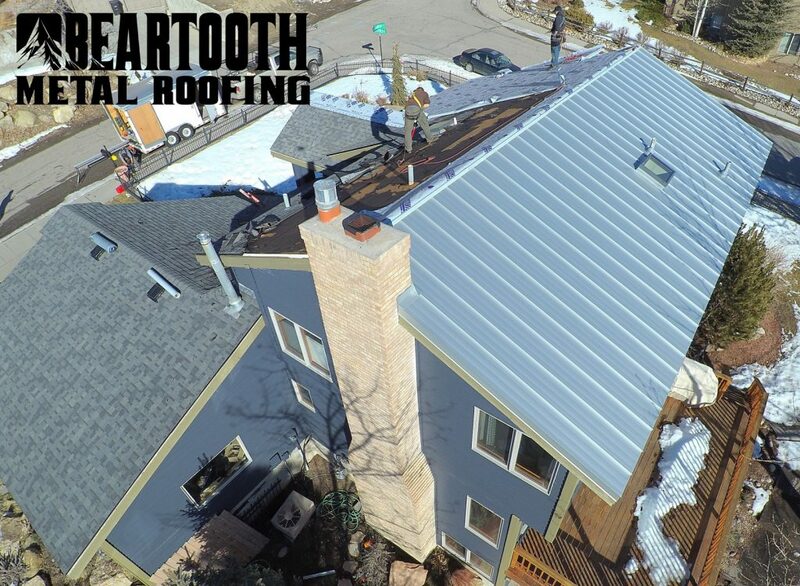 For example, Beartooth Metal Roofing is a technically Residential Roofing DBA Beartooth Metal Roofing. Knowing the legal business name is how you can look the company up to ensure they have the proper contractor licensing. What Proof of Insurance can you Provide? Any time that someone is doing work on your property, they should be insured (yes, this goes for the neighbor kid cutting your grass). If anything happens, and the proper insurance isn’t in place, the bills will be paid out of pocket (if an uninsured metal roofer falls off your roof, your homeowner’s insurance won’t cover anything). Are You Licensed in Montana? In order to do contractor work in the state, you have to be licensed through the state. Without that licensing, the business won’t be able to get the proper insurances. An unlicensed contractor is more likely to do shoddy work leaving you stuck with a roof that has to be replaced because it wasn’t done correctly. You can see our licensing here. Will You Tear-Off the Old Roof? The answer you always want to hear is “Yes.” Sometimes the old roof can be left in place and shingles or metal put over the top. But if you’re spending the money on having your roof replaced with a high quality metal roof, why try to save a couple hundred dollars by leaving the old roof on? Many companies won’t even consider not tearing off the old roof. Do you have a Billings Address? When hail storms sweep through Billings, the area is flooded with out-of-state contractors. These contractors have teams of laborers and can replace a roof in a couple of days. There are three easily identifiable problems with this. First, your money is heading right out of state and not benefiting the local economy. Second, many of the laborers don’t know the proper way to put on a roof, and can end up doing it wrong. Third, if you notice anything that has been done incorrectly, the company is long gone and it’s hard to get them back to fix any problems. Always choose local. What are the Warranty Details for my New Roof? New roofs have warranties. Now these are limited, and they don’t cover everything (for instance, you put a nice new metal roof on your home and then a hailstorm dents it up, the warranty won’t cover that). Warranties are for manufacturer defects, and generally only cover the product and not the labor. That’s not to say you shouldn’t opt for warrantied products though! Just get it all in writing. There is a difference between an estimate and a bid. The estimate can change, it’s what the total cost is expected to be. The bid is what the cost will be (barring rot or other damage encountered along the way). You want to have both of them in writing so that there are no surprises at the end of the job. Will You Pull a Building Permit? If the contractor that is installing your new metal roof says that pulling the permit is your responsibility, move on to the next one. You’re paying them to do the job, not just some of the job. If work is being done to your house, and you haven’t pulled the right permits, it can cost a lot and delay the process significantly. You want to make sure that payments are lined up before any work begins. Often a metal roofing company will charge half of the cost up-front (to pay for all of the supplies), and then the other half can be paid when the work is completed. Some will accept credit cards, others will only accept checks. Have these details hammered out before you agree to work with a metal roofer. An asphalt roof will last you about 20 years (assuming no hail damage). A high quality metal roof from Beartooth Metal Roofing will last roughly three times as long, and it will look a whole lot better than the asphalt shingles do. When it’s time to replace your roof, call us at 406-839-0084 to schedule a time to upgrade to metal.